A credit card processing plugin that integrates Stripe payments. We are proud to offer this easy and affordable solution to allow you to quickly begin accepting credit cards on your site using the Stripe payment services. Simple to complex payment forms. Easy setup via the admin page. 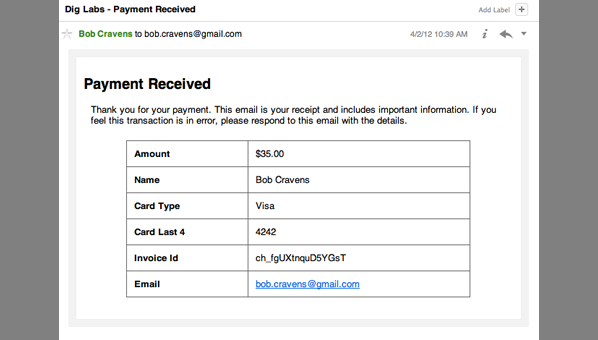 Complete control over email receipts. Access your customer list in the admin panel. 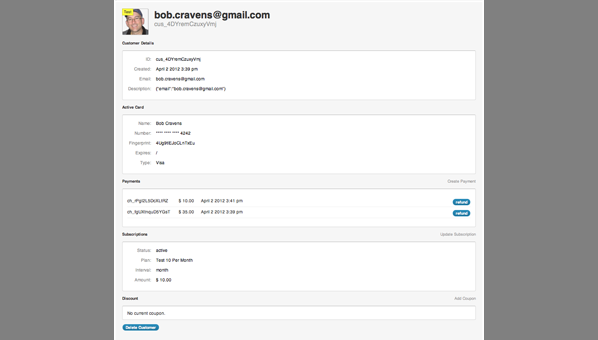 Manage payments and subscriptions in the admin panel. Standard Payment Forms – The plugin has a number of built in payment form elements. Most of the time, you can simply use these to quickly add a payment form to your site. 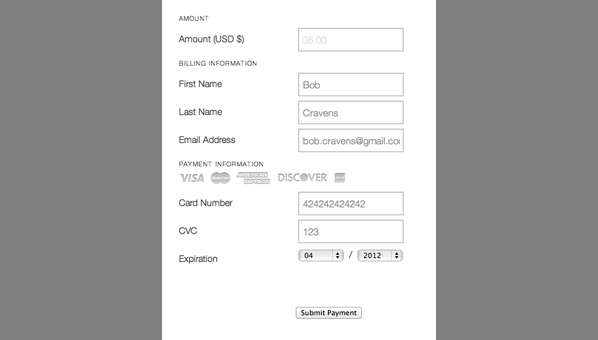 Custom Payment Forms – The plugin now allows you to completely customize your payment form experience. Collecting additional information is easy. You also have complete control over the CSS form styles. Custom Payment Receipt – You can choose to use the simple receipt included with the plugin, or you can create a custom receipt. Payment Processing Hooks – The plugin has a number of hooks at various points in the payment process. These allow you to add your own logic or processing steps. For example: you can cancel a payment, use the collected info to send email, or provide access to premium features upon successful payment. State Taxes – The plugin can be configured to automatically add state taxes to the total amount charged. 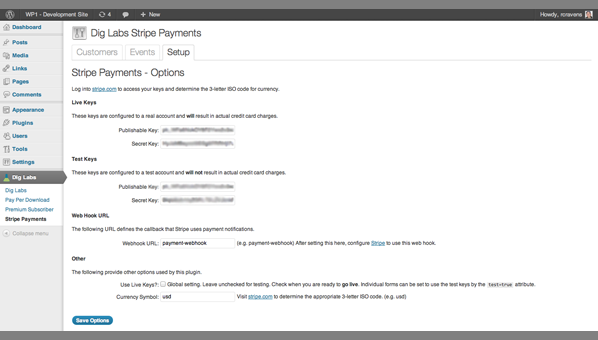 The plugin is simple to use allowing you to quickly get started accepting payments using Stripe. In addition, the plugin provides many extension points to allow you to provide a custom payment experience. Purchase the plugin using the form at the right. An email will be sent with a download link. Download and install the WordPress plugin. Follow the instructions on the Getting Started page. Navigate to the new page and make a test payment. Remove the test=true attribute to ‘go live’. WordPress Admin Page – Used for configuration. Standard Payment Forms – The plugin has a number of built in payment form WordPress short codes. Most of the time, you can simply use these to quickly add a payment form to your site. If you are looking for a Stripe Wordpress plugin, look no further than DigLabs. We tested all of the available Stripe Wordpress plugins and most were either lacking in features, poorly coded or simply didn't work. The Stripe Wordpress plugin from DigLabs was the clear winner. In fact, we were up and running with a functioning payment form within 30 minutes. The plugin supports both single and recurring payments and is extremely well coded and documented. It covers most needs out of the box and is designed with customization in mind. However, the best part is the support provided by DigLabs. After installing the plugin, we decided to build a custom logging system and emailed DigLabs with a few technical questions. We received a response within minutes complete with detailed suggestions and screenshots. DigLabs truly cares about it customers and shows through its quality products and support. 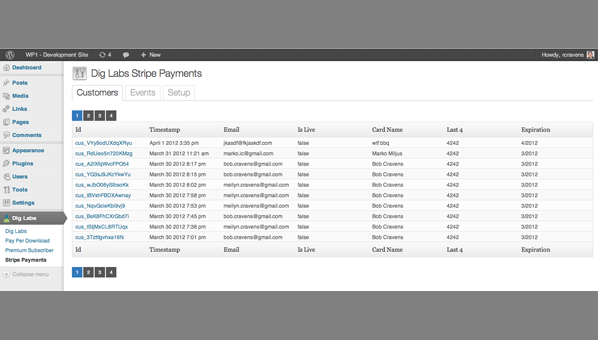 Dig Labs has created an awesome plugin – Stripe WordPress! Setting it up was quick and easy and customer support is fantastic. I love having a solution for taking payments on my website and being able to offer this solution to my customers as well. I’m looking forward to purchasing more plugins from Dig Labs.